If you’re looking for a battle base offering supreme acceleration- and accuracy-enhancing properties – combined with some of the most advanced build construction ever found in a gaming pad – look no further than the ROCCAT Hiro – 3D Supremacy Surface Gaming Mousepad. Thanks to its exclusive 3D vulcanized silicone surface, mouse gliding on the Hiro is simply amazing: smooth and effortless, yet offering incredible precision. The Hiro easily boosts the speed and control of any mouse to phenomenal levels, providing demanding skirmishers the sure upper hand. 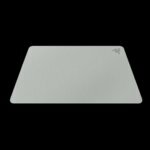 And with its additional range of exclusive build innovations – including smooth, rounded edges that won’t fray – the Hiro is an ideal tool for any gamer looking to reign supreme. The Hiro features an exclusive vulcanized silicone surface, with a complex 3D structure, that delivers maximum gliding speed and control on both the x and y axis – for the ultimate command capability during any encounter. 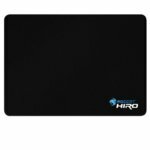 Unlike most mousepads, the Hiro’s edges are smooth and rounded – quality you can see. And thanks to a power-bonded construction between upper and lower surfaces, the Hiro’s edges won’t fray – durability that translates to the longest life of battle readiness, no matter how aggressively you game. The Hiro’s non-slip rubber base offers a rock-steady command platform – so you won’t have to deal with inaccurate on-screen orders caused by slippage. 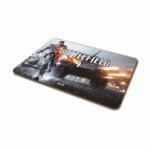 Its solid weight also contributes to stability, providing you with additional security during hectic gaming. 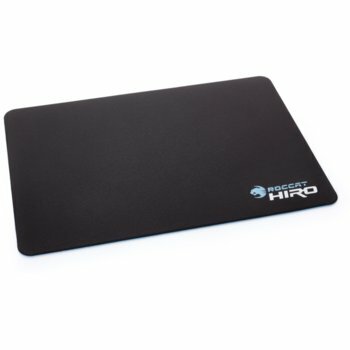 Plus, the Hiro features a shock-absorbing build that provides maximum comfort during even the longest gaming sessions. Thanks to its Covert-Tech surface treatment, the Hiro allows for ultra-quiet gliding – for stealthy and distraction-free commanding. An advanced Force Field protective coating makes the Hiro’s surface water resistant and easy to clean – so it’s always simple to get it in top shape for the next game. We built the Hiro using only the most advanced materials and construction methods – so you can rest assured yours will provide max battle durability and performance, mission after mission, war after war.